Meilleur Lieu Bayfront à Captiva! Nous savons que vous allez adorer notre Hide-A-Way de l'île de Captiva. Les vues de la baie sont fantastiques, surtout au lever du soleil. Notre magnifique condo a été complètement rénové depuis l'ouragan Charlie en 2004. Fait dans un style insulaire coloré avec des planchers de tuiles mexicaines, des plafonds cathédrale, une cuisine gastronomique avec comptoirs en granit et une bibliothèque. La piscine est juste à côté de la baie et du quai. Le café du matin, la pêche et l'observation de la faune sont merveilleux du quai. Louer des kayaks ou prendre un bateau pour une autre île de McCarthy's Marina, à deux minutes à pied. Dans les cinq minutes à pied de la plage pour certains des meilleurs bombardements et couchers de soleil dans le monde. Restaurants, cafés, boutiques de souvenirs, shopping sur l'île également à cinq minutes à pied. Nous avons un barbecue dans notre jardin nouvellement aménagé. Des vélos sont disponibles pour votre usage. Vous trouverez tout ce dont vous avez besoin pour profiter de cette île paradisiaque. Great family vacation! Felt like a home. We truly enjoyed staying here! The property was just as described. The layout was really perfect for the two bedrooms/two bathrooms. We especially enjoyed hanging out on the screened in porch for most of our time in the unit. We also really enjoyed walking to all the good places with live music and food along Andy Rosse Lane. The beach is a short walk as expected and very doable. The pool was a nice option for us and our two teenagers too. The unit feels very solid and high quality. One of my favorite things to do is flip through cookbooks, thank you for having those out for us to look at! The furnishings, appliances were all top notch (sub-zero refrigerator, Bosch dishwasher). The unit is so nicely decorated and homey touches everywhere you look. Our third time staying at Hide a Way, first at 2C. The condo was beautiful, had everything we needed, well stocked kitchen, beach towels, cooler, etc. Beds were very comfortable. Gorgeous sunrise every morning. Definitely will be rent again, thank you! Fabulous location, gorgeous condo, wonderful vacation! I can't describe how pleasantly surprised we were when we walked into the condo. It is so beautifully decorated and the view was simply stunning! It overlooks the pool which is right on the bayfront. Just standing there looking out over the bay made my blood pressure go down. Hanging out on a lounge chair with a glass of wine by the pool, looking at the boats sail by....priceless. The kitchen is fully equipped and more, the bedrooms were lovely and had comfy beds, the bathrooms were right out of HGTV and the living room was cozy yet beach chic. The view out of the condo is now my screen saver and whenever I'm having a bad day, I just tell myself that we'll be back in April 2020! I cannot recommend this lovely condo highly enough! Thank you so much for the best Captiva vacation EVER! Thank you, John and Cindy, for sharing your beautiful condo in paradise. We were so fortunate to have seven warm, sun-filled days and enjoyed every single minute. The home is comfortable and is well supplied with everything you could possibly need or want. The view from the living room, kitchen and lanai is breathtaking. Many thanks to Ron, the caretaker, for all of his recommendations, assistance and informative stories about the island. Can’t wait to return - we will be back! 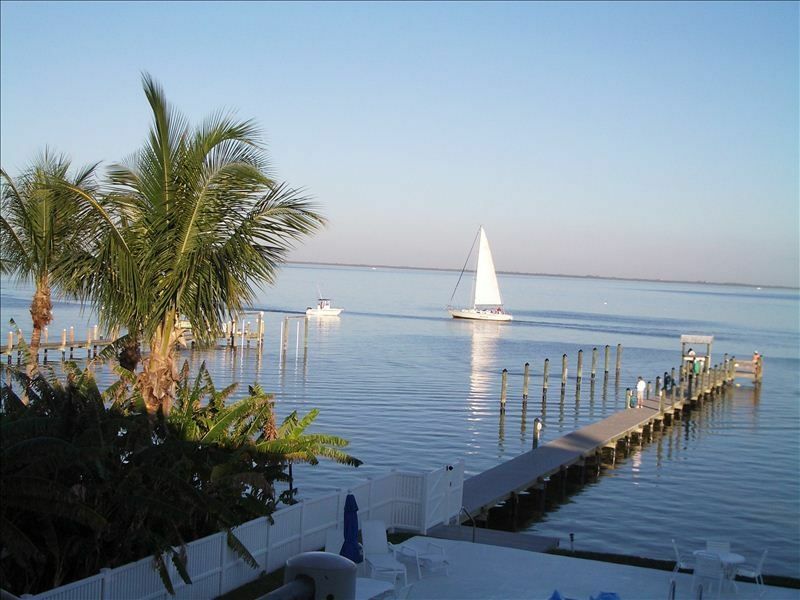 What a great location in the heart of Captiva. We parked the rental car after getting groceries and didn't get back in it until the end of the week! This beautiful unit has a great view...and is so well stocked: bicycles AND beach chairs AND fishing poles ! We will return. Once booked travelers will receive a contract from the owners to sign and return with a fully refundable security deposit.